The Lime: New Music: Jah Cure "Save Yourself"
With the recent cancellation of the Visas of several prominent Jamaican performers, international reggae star and SoBe/Danger Zone recording artiste Jah Cure has been inspired to pen the visa blues and record the track Save Yourself. It was 12:05 am on April 1, 2010, so Jah Cure naturally assumed the internet news he was reading about the Unites States canceling the visas of several top Jamaican dancehall artistes was an April Fools’ Day joke. He said: “I couldn't believe that the Jamaican government or the U.S. government would violate the privacy rights of citizens and publish their legal names, their birth dates, their actual Jamaican passport numbers and their U.S. Visa Control numbers, I did not believe it”. Sadly, by mid-day on April 1st, the news was official; the U.S. Embassy in Kingston, Jamaica had canceled the visas. 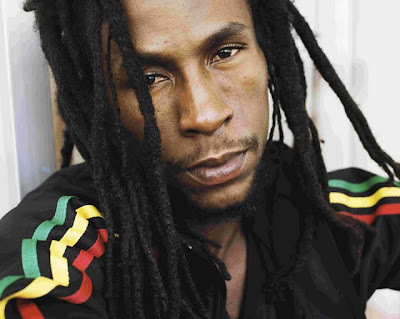 While sitting in his living room, Jah Cure said he began to hear the words of his idol Bob Marley singing: “Get Up, Stand Up, Stand Up for Your rights.” Cure immediately felt inspired and compelled to go on record, so he headed straight to the studio and recorded Save Yourself’ as his message to Jamaica and all Caribbean nations. In the opening lines of the song, Cure exclaims: “You can’t change my pride, you can’t take my power”. Jah Cure urges his Jamaican and Caribbean brethren to save themselves, to save their countries, to save their economies, to save their families, and to save their children. A line of the song is telling: “We must ‘Save Ourselves’ … we must save ourselves from Babylon." Cure believes that Save Yourself is an appropriate song for the circumstance as he says: “We cannot depend on Big Brother to help us, we must depend on each other and ourselves. Jah Cure said he is releasing the record via the internet hoping it will challenge his Jamaican brethren to stand up for their rights as he chants at the end of the song: “We have come too far to turn back now, we cannot let them take our freedom or our pride. They can never hold us down”. Save Yourself will be released online on Friday April 9. Jah Cure begins his first official tour of Africa this summer after which he has several performances in Mexico. He then returns to Jamaica to headline the International Night at Reggae SumFest in July. Click HERE to listen to "Save Yourself"